Individuals and interactions are the key ingredients to achieve effective collaboration, which is critical in agile teams that need to work efficiently together. But how does that happen? What do our teams need to be collaborative? 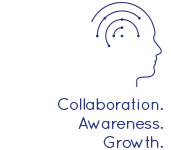 Mind at Work Consulting helps teams learn and implement skills and practices that enable true collaboration. We provide programmes and consulting to help your teams grow, be more aware, and be genuinely collaborative. We hear so much these days about the difference between being agile, and doing agile. It’s the agile mindset that enables teams, and organisations, to truly adopt the agile values and principles to reap real benefits, not simply do particular activities and practices. But how do we really implement the agile mindset? What do we need to do to truly embody the agile way of thinking? Awareness, or mindfulness, is the key ingredient that enables true collaboration, starting with the traits we need at an individual level that lead to more effective interactions at a team level. Mindfulness is the secret ingredient that enables people to genuinely embody the agile mindset. Mindfulness is the quality or state of being conscience or aware. In teams, and in particularly in agile teams, mindfulness is a basic necessity to enable us to be truly collaborative. It enables us to truly be alert to what is happening with our work, with our team, with our customers and stakeholders and the organisation. Just like a drop of water falling into a still pond, mindfulness begins within each of us, and radiates out to affect the team, as well as the entire project community. Mind at Work Consulting provides training, consulting, and coaching to agile teams to improve and develop their collaboration, as well as implement agile practices and techniques more effectively. This workshop will help you deeply understand the agile mindset and how mindfulness enables you to truly embody the agile principles. Mindfulness enhances interactive communications to allow you collaborate more effectively. This workshop will help you deeply understand the agile mindset and how mindfulness enables you to manage everyday leadership challenges more effectively. You will understand how to influence work culture and be a more inspirational leader. Contact us to discuss how we can help your teams grow.